This spring, we received over 20 nominations for this distinguished award, and a dedicated committee selected six exceptional employees from across the Webster Network. Nominated in recognition of her investment of time and effort in coaching and/or mentoring. When a new staff member came on board recently, Theresa took time to assist in her transition. This staff member recalled her appreciation, "Theresa reached out to me and answered every question without complaint. If she did not have the answer, she would find out who did and directed me to that person." 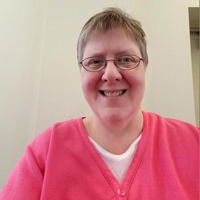 In addition to her everyday kindness and helpful attitude, Theresa worked unremittingly to prepare adjunct faculty records for the March HLC visit. Another staff member remarked, "Theresa's patience, accessibility, and cooperative attitude make her an asset to the University." Shelia is a long-time Gorlok and a multiple nominee for her efficiency, superior work ethic, and enthusiasm for helping students. "She is collaborative, flexible, highly skilled and professional. Sheila was instrumental in developing and implementing our department's strategic plan. Sheila thinks at a systems-level and is mission-minded. She identifies trends and suggests innovative solutions," boasted her nominator. Sheila is engaged in the Webster community on various committees and teaches as an adjunct in the Department of Teacher Education. A former coworker described her as "the person to get tough things done" due to her high levels of persistence and dedication. Nominated in recognition of his contribution to university's mission, values and goals. 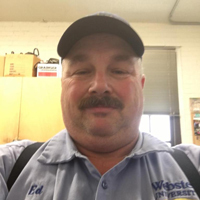 Ed's nominator shared, "Ed contributes daily to Webster's Mission with his interactions and attitude. Ed positively affects those he has contact with across our department and campus. Ed is always coaching and teaching each of our team members with his knowledge and skill. Ed always offers his thoughts about sustainability and improvements. Ed offers assistance with our parade and other events that is on a voluntary basis. He approaches problems with the character and ability to look for answers through advancement and technology as opportunities for the department to grow its vision on repairs and maintenance. Ed almost always reaches every one of these goals through adversity, and has an uncanny sense of pride through workmanship. Ed is always one of the first ones in and one of the last ones out." "Holly's not only student-centered, she's people centered. 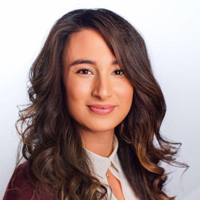 Within the University, she makes a personal connection with faculty, students, staff and administration from units across Webster and greets people of all levels by name and discusses their interests," voiced her nominator. 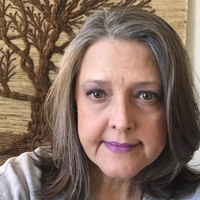 "Holly engages in the Webster community by serving on, supporting the formation of, and connecting others to various library and university committees." 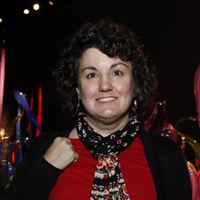 Another colleague recently wrote, "Holly's expertise and library knowledge extend far beyond her own department. She communicates the bigger picture in her work, and aligns her responsibilities to the overall mission of the library; she is a forward-thinking team player." Nominated in recognition of team effort and peer collaboration and consistently providing high quality, reliable, and critical work that, if undone, would halt highly visible operations. Staff and students alike shared their appreciation for Engy's contributions on campus. "[She] makes a difference in the lives of students and staff/faculty by giving 110 percent in whatever it is she does," commented one nominator. Another expressed, "Not only is she hard working and responsible, she is like a cohesive glue that connects all different staff members who work with her." It's clear that Engy's positive attitude and dedication to Webster make her an asset. A final nominator shared, "I am certain that it would be difficult to find someone who takes on huge tasks and responsibilities with as much joy and attention to all the fine details by never forgetting to take the honest care about people around her." Nominated in recognition of achievement of a desired outcome despite adversity. While many Webster employees wear multiple hats, some staff end up wearing more than they ever thought they would. Such is the case with Shelley who is one of just two staff members keeping the the Orlando campus afloat this spring. Her nominator said, "If Shelley were not here we would not be able to meet our student, faculty and campus needs. She is awesome. "From scheduling courses, monitoring textbook adoptions, providing information to students, securing course syllabi, to answering general questions, she manages to maintain a smile and a positive attitude. 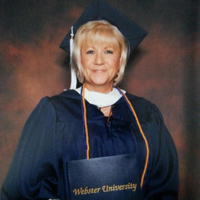 It's clear that Webster University has an abundance of incredible employees. While we are only able to select up to six Gorlok Greats Award winners each semester, we want to recognize all of our extraordinary Gorlok Greats nominees. These individuals help push Webster to the next level. Nominees included Jesse Alexander, Danielle Ehrhard, Katharina Neumann, Enrique "Kiki" Armendariz, Johany Glen Peggy Peel, Heather Arora, Denise Harrell, Rosemarie Rankin, Michael Biegler, David Heil, Tanya Seale, Tyann Cherry, Whitney Isaacs, Stacey Tunnicliff, Tim Davis, Verena Karlsson, Amy Whited-Hylton, Alexandra Deubner and Bethany Keller.